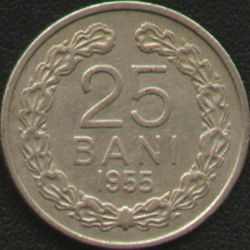 The coins of 10 and 25 bani struck in 1955 and 1956 differ from the previous ones due to some orthographical changes that lasted from 1954 over to 1963. 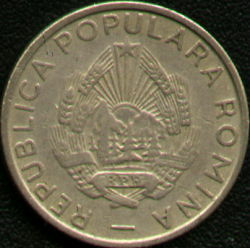 The words român (Romanian), România (Romania) and others alike were spelled romîn, Romînia. So these newer coins feature REPUBLICA POPULARA ROMINA instead of ROMANA.